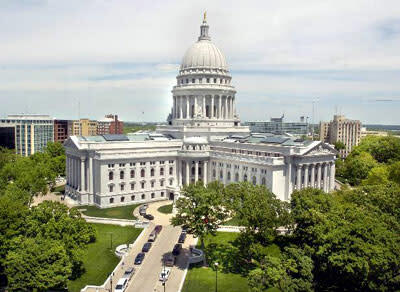 "Thank Wisconsin Legislators for Supporting Expanded Wireless Broadband Access"
The Wisonsin Legislature recently passed Assembly Joint Resolution 100, which calls on the Federal Communications Commission to promote expanded wireless broadband access by enabling additional public use of TV "white spaces." Specifically, the resolution urges the FCC to reserve "at least three channels below 700 MHz on an unlicensed basis in every market in the country." If the FCC takes this step, additional spectrum will be available to help address Wisconsin's "Homework Gap" and other community broadband needs. We will deliver to the Wisconsin State Assembly and Senate based on your street address. I am writing to thank you for supporting passage of Assembly Joint Resolution 100, which calls on the Federal Communications Commission to permit greater public use of "television white spaces" for unlicensed wireless broadband expansion. Far too many Wisconsin students lack home access to affordable high capacity broadband for completing homework and faciliating learning outside the classroom. "White spaces" technologies offer a new tool for helping deliver broadband to rural Wisconsin and other unserved and underserved areas in the state. I strongly support the legislature's decision to ask the FCC to make this spectrum available for learning.